The ShapeShift Core Carry Pack is the foundation of the ShapeShift Modular Holster System, and includes everything you need to carry in four distinct ways. In just a few quick steps, quickly transform the ShapeShift into an IWB holster, appendix carry holster, OWB belt slide, and OWB paddle holster. The Core Carry Pack also includes a bonus Holster Mount, so you can attach your ShapeShift to a variety of surfaces in seconds. This Modular Holster System went through two years of development, and each holster method is unsurpassed in comfort and concealability. For those looking to carry concealed, the ShapeShift IWB Holster is comfortable and ultra-concealable. 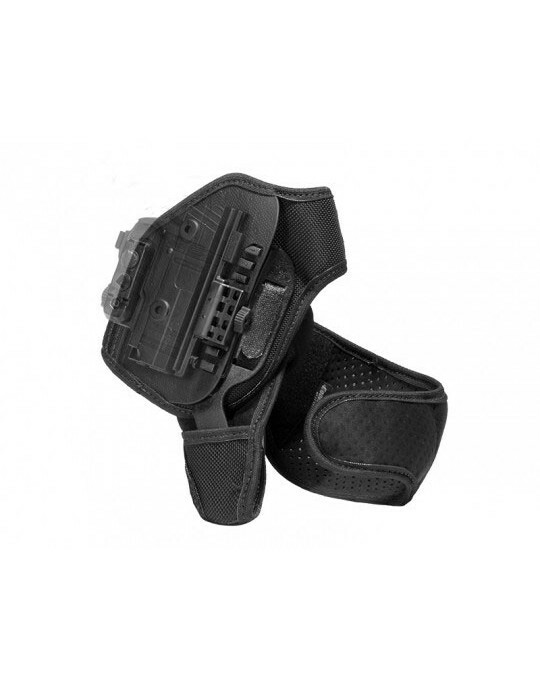 A stainless-steel core gives structural support to the holster, while a soft CoolVent neoprene base maintains essential comfort. 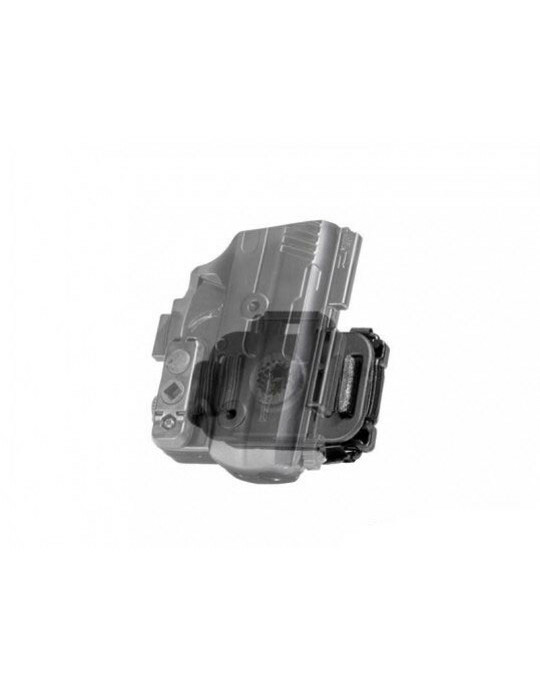 The shell of the modular holster attaches to the base with a single mounting point, which eliminates printing and makes the holster bend against the body even better. The all-new ShapeShift OWB Paddle Holster is the next evolution of outside the waistband carry. With its customizable design, this modular holster can be equipped with adjustable active retention, passive retention, or both. An ergonomic thumb release, included in every Core Carry Pack, gives you the option to carry using active retention. The Adjustable Retention Unit allows you to customize your passive retention in seconds. To achieve the perfect draw angle, the ShapeShift OWB Paddle Holster is equipped with adjustable 360 degree cant and can be tilted in 12-degree increments. All holsters are made with the best and most durable materials, and Alien Gear Holsters backs this promise with a Forever Warranty and a 30-Day Test Drive. Made in America, unique to the planet.